1. Jack pens song for new Bond movie, Quantum of Solace. 2. Bond team and Coca Cola team get all smoochy smoochy together. 3. A snippet of Another Way to Die (Jack White’s Bond song) is used in a Coke commercial. 4. Jack flips the lid. The song in all fairness, is not really worth the hype that it’s clearly generating accidentally-on-purpose. And I say this as a HUGE Jack White fan. It has all the formulaic ingredients to be the perfect Bond song. Pitch perfect Alicia Keys provides pristine vocals. Piano and saxophone crescendo perfectly into an overstated orchestral climax which, in all fairness, will probably be a fantastic accompaniment to a dramatic scene in the movie. 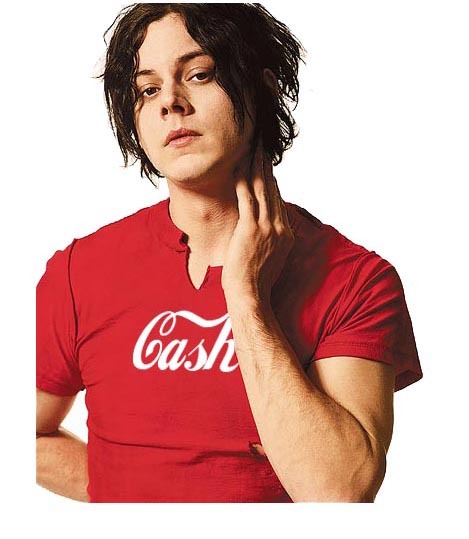 But where’s the gritty, out-of-synch signature sound that we have come to associate with Jack White? It’s just a little too polished for my liking.